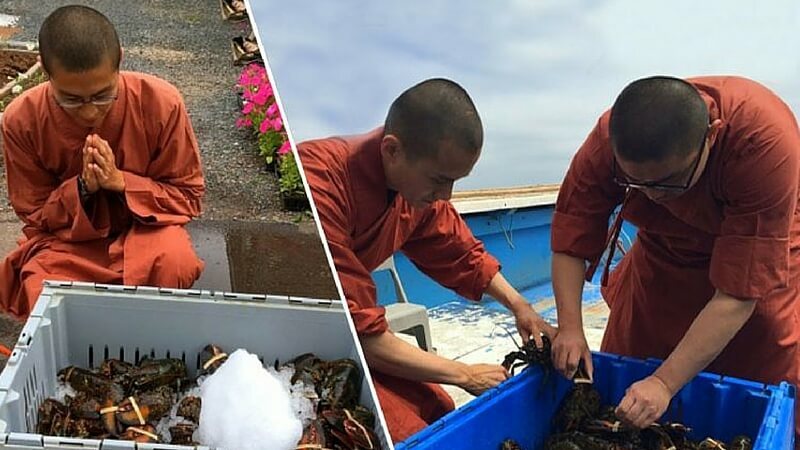 On Saturday, a group of Canadian monks just rescued over 600 pounds (270 kg) of live lobsters and released them back into the sea. 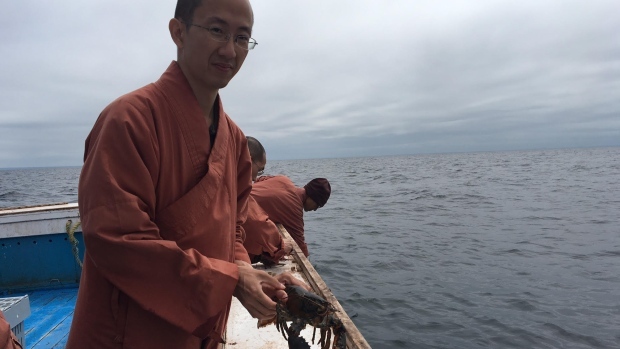 After purchasing the crustaceans, the monks held a 20-minute prayer and chant to the Buddha of compassion, followed by a release in the ocean. Their liberation acts may seem strange to some individuals, but has been positively received by most of the community. 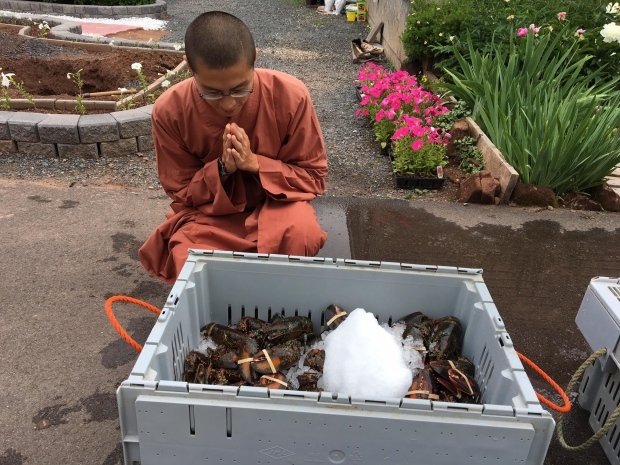 Fisherman have even offered to help the monks to find better locations to release the lobsters to prevent future capture. According to Independent.co.uk, the compassionate monks from the Great Enlightenment Buddhist Institute Society on Prince Edward Island, were on a mission to demonstrate the ease in which a collective group can “cultivate compassion” on Earth. Dan related the compassionate effort to helping out friends or relatives, by asking a simple question. He asked, “If your loved ones were in this, what would you do?” “To give them a helping hand and put them back to where they feel comfortable and we believe if everybody’s able to do that, it will become a better place, a more harmonic place,” he added. The lesson learned from this simple act of kindness is that there doesn’t have to be a celebration or ceremony, and one doesn’t need to be a Buddhist to practice compassion. It’s so easy to be kind to living beings when you think from their point of view.